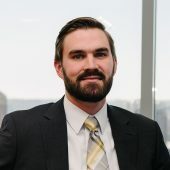 Let’s revisit our previous blog post and our example of Karl one more time to show another wrinkle that you should be aware of when making a contribution for a partial year missed deferral failure. In some circumstances, an employer make up contribution will be limited due to the elective deferral limit in §402(g) of the Internal Revenue Code. Again, let’s assume that ABC Company hires Karl late in 2017, and Karl should have been eligible for the 401(k) plan on January 1, 2018. The plan operates as a calendar plan year, is subject to ADP testing, does not provide for automatic enrollment, and provides for a matching contribution of 100% up to the first 4% of compensation. Further, the ADP for Karl’s employee group for 2018 was 3%, and Karl’s annual compensation was $150,000. 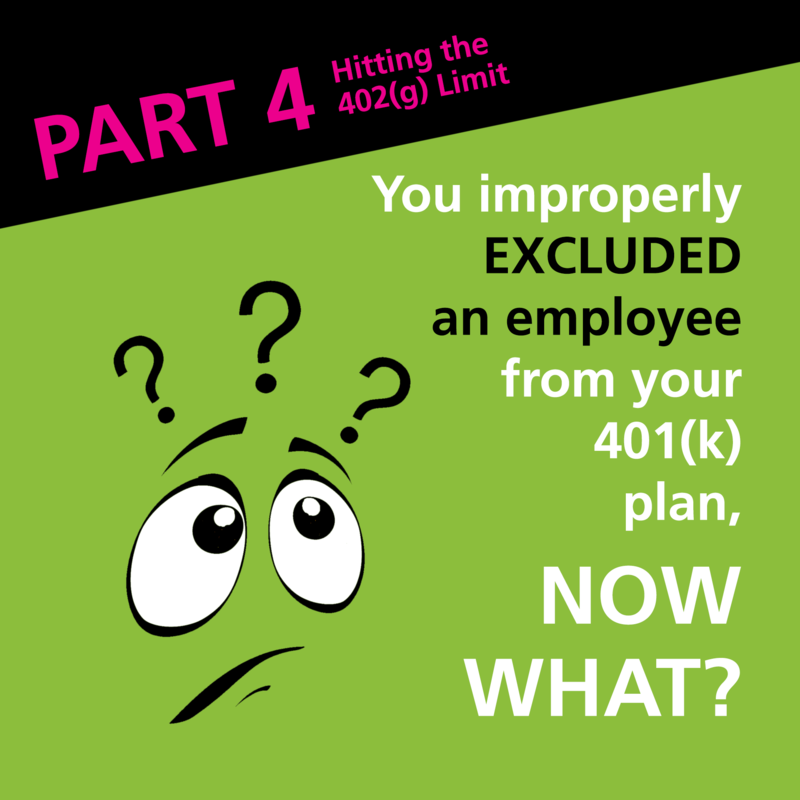 Karl was mistakenly excluded from being able to make an elective deferral to the plan until May, and Karl decided to contribute $18,000 of his income to his 401(k) from a bonus check he receives in May. From our original example, we already know that Karl has been excluded for a time period over 3 months, and therefore ABC must make a contribution for Karl’s missed deferral opportunity. Karl’s missed deferral is calculated with the same formula, only now his base salary has increased. Karl’s missed deferral is equal to Karl’s compensation during the excluded period (January through April) multiplied by 3%, which is equal to $1,500 ($150,000 * 4/12 * .03). Because Karl made such a large contribution in May, when ABC Company intends to make this correction in June, it needs to determine if the missed deferral needs to be reduced due to the 402(g) limit ($18,500 in 2018). Here, the missed deferral amount of $1,500 plus Karl’s May employee contribution of $18,000 equals $19,500. This amount exceeds the 402(g) limit by $1,000. Therefore, Karl’s missed deferral needs to be reduced from $1,500 to $500. As a result, ABC will contribute 25% (see Part III for the requirements needed to be met to reduce the percentage from 50% to 25%) of $500, or $125, as Karl’s missed deferral opportunity corrective contribution, adjusted for earnings. ABC would not have to make a corrective contribution for the missed match in this scenario because the match on Karl’s elective deferrals would have already reached the maximum matching contributions permitted by the plan.